At its core, our overarching mission at GiveMN is to grow giving. Since our founding in 2009, we have helped more than 10,000 nonprofits raise more than $200 million from 400,000 donors through GiveMN.org and programs like Give to the Max Day. In 2017, we announced a new way GiveMN would be expanding our mission pursuit to grow giving in new ways. This new program, known as RaiseMN, comes after years of studying a critical gap for nonprofits in our community—the capacity to build sustainable strategies and infrastructure around their overall fundraising needs. Through our research of hundreds of Minnesota nonprofits, we learned 40% of organizations relied on volunteers alone to fundraise, and an additional 32% had only one staff member charged with raising money (often among many facets of their job description.) Overall, 69% of the nonprofits we surveyed said they are not confident that their current fundraising strategy is meeting the demands of their mission. Growing giving was our initial charge, and one that still resonates today. Through RaiseMN, we aim to achieve that goal by helping nonprofits move beyond simply accepting online donations, and assist them in building their overall fundraising culture, knowledge and expertise. We polled our inaugural RaiseMN cohort after the program was completed. We launched RaiseMN by piloting the first year of our Campaign Institute, which offered a cohort of five organizations primarily serving the Twin Cities East Metro a yearlong, individualized program featuring a mix of expert fundraising coaching, customized training, and a co-created live fundraising campaign complete with a $10,000 matching gift opportunity. The Institute was specifically designed not to be a one-size-fits-all solution, nor a consulting project. 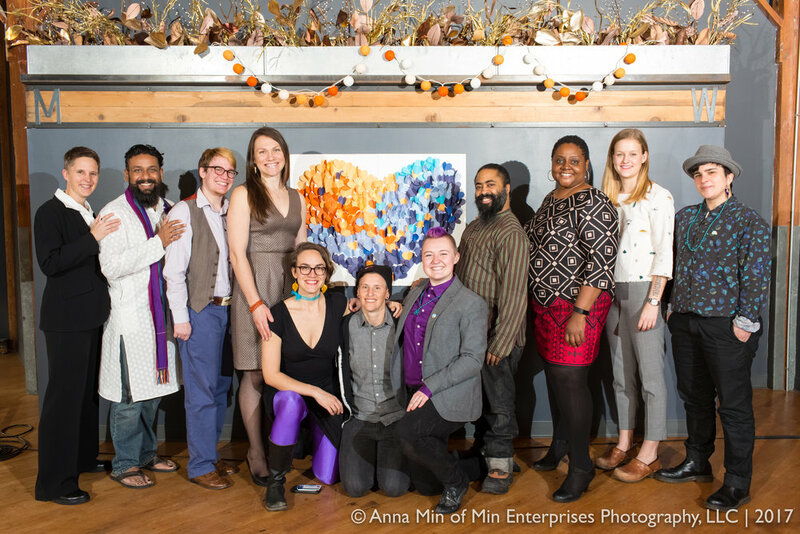 Alongside the organizations in our first cohort—African American Leadership Forum, Elpis Enterprises, RECLAIM, Pilgrim Baptist Church, and TU Dance—the Institute’s pilot year was the first RaiseMN program to go live, and gave us the chance to test our assumptions and evaluate whether GiveMN could be effective in helping close this critical capacity gap. Through research and evaluation, feedback from cohort participants and coaches, and our own observations, we are confident the Institute model will help meet the evolving needs of the sector, while serving as the foundation for additional programming as we bring RaiseMN to scale throughout Minnesota. We invite you to learn more about our pilot year by focusing on the stories of the five nonprofits who participated in the Institute; each with their own unique mission, strengths, and areas for growth. Working with their RaiseMN coach, each organization discovered shifts to make in how their organization prioritizes and executes their fundraising strategies; each met their $10,000 RaiseMN matching gift opportunity with the help of new and existing donors; and each now has an annual fundraising plan to support their fundraising strategy for years to come. TU Dance has dealt with an issue facing many nonprofits for years—brainstorming a multitude of mission-centric fundraising ideas, but lacking the time and capacity needed to bring them to reality. A mainstay in the Twin Cities arts community since it was founded by Toni Pierce-Sands and Uri Sands in 2004, TU Dance celebrates the connective power of dance for audiences, their students, and the performing artists themselves. TU Dance features both a professional dance company who performs locally and internationally, and a school dedicated to providing students of all ages the opportunity to learn and work with professional dancers, guest artists, and seasoned faculty. By all measures, TU Dance has become a very high-impact nonprofit in just 14 years, but is still learning to adjust to growing pains as a young organization. In their early years, TU Dance has benefitted from a large amount of foundation support, but their leadership recognized the need to find more equilibrium in their sources of revenue, particularly amongst individual donors. And so TU Dance joined the RaiseMN Campaign Institute with the goals of gaining that knowledge and learn how to allocate resources to fundraising with the goal of increasing their individual donor base. Their first step was to create a development committee comprised of Sayegh Rodriguez as managing director, Artistic Director Toni Pierce Sands, and Board Member Anne Parker. This simple step allowed conversations solely about the fundraising strategy and development potential for TU Dance. Alongside their RaiseMN coach, TU Dance started to demystify the process of creating an annual fundraising plan, which before seemed to be overly complicated and insurmountable with their knowledge and staffing. They decided to start with one of their organizational strength—a group of 7,000 supporters and show attendees, many of who have not yet made a gift to TU Dance. TU Dance gathered nearly two dozen of their strongest supporters to create their first major donor giving circle in 2017. Nervous to be overly-aggressive in their ask, TU Dance was rewarded with 23 very excited supporters as the first in their Keeping Company giving circle, which each came with a $1,000 gift and promise to bring other supporters to the table as well. TU Dance’s staff left the first meeting of the circle feeling empowered to ask more often. 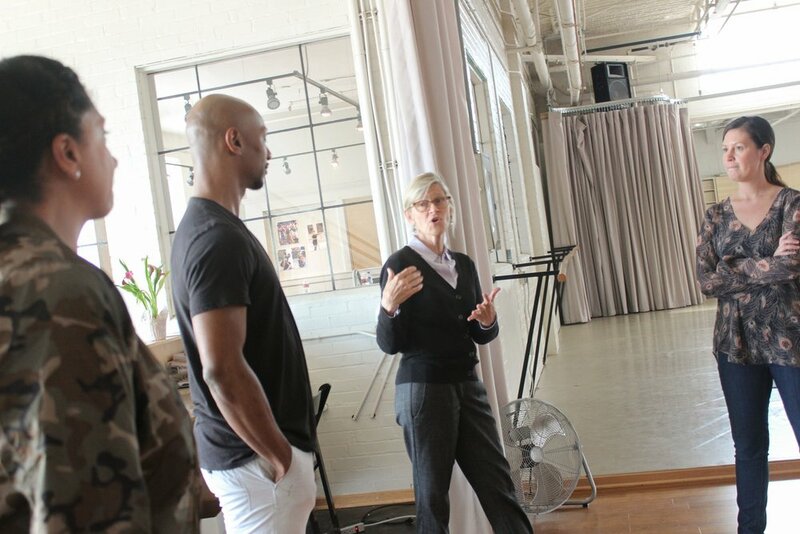 Through the RaiseMN process, TU Dance has also benefited from having a board member participate directly in the development process from day one. In addition to ensuring 100% participation in the campaign from the rest of the board, the board member sitting on their development committee has also pushed for directing more resources toward fundraising. Now as an outcome of the Campaign Institute, TU Dance is preparing to hire a development staff member who will help fulfill their new fundraising plan. Now that TU Dance has created their first giving circle, Sayegh Rodriguez is excited to start expanding into more circles and levels of giving, wanting to engage more of their audience around their work. Learn more about TU Dance. The power and influence of social media continues to evolve the fundraising landscape to a world where people use individual philanthropy as an immediate personal response to weather and humanitarian crises, along with social issues. Nonprofits who prepare to inspire their supporters to participate in this sort of responsive grassroots fundraising are well equipped to broaden their support and reach new donors. Saint Paul-based RECLAIM was created in this way, out of a funding crisis. As philanthropic and government dollars for many nonprofits were cut after the recession of the late 2000s, a queer and trans community center lost its physical space and a prominent LGBTQ youth counseling program was cut at another organization. Faced with losing these two institutions so quickly, queer and trans youth and their allies raised $35,000 in pledges in just three weeks, which led to the creation of RECLAIM. Today, RECLAIM increases access to mental health support for queer and trans youth through a mix of counseling, healthcare, advocacy, education and collaboration. Dr. Felicia Washington-Sy, once a therapist at RECLAIM, has been the organization’s executive director since 2016. She came across the RaiseMN Campaign Institute while she was looking for resources to aid her in her new role, which marked the first time she oversaw organization management. Washington-Sy took over leadership of RECLAIM as the organization was working through financial challenges. The RaiseMN Campaign Institute assisted her as she built RECLAIM in a new direction, framing best practices and expectations around her role as a fundraising leader, and offering coaching to help her transition from therapist to executive leadership. The program served as a natural pivot point, allowing Washington-Sy and RECLAIM to chart a more sustainable course. RECLAIM sought to make individual giving a priority, as a successful and sustainable development plan is key to the financial health of a nonprofit. Washington-Sy and her team had two goals—reach new audiences of donors, and engage current organization supporters in their fundraising plan. After a successful Give to the Max Day in 2017, RECLAIM set out to renew their development and outreach messaging as a direct response to the current political climate the queer and trans communities face. Their theme—Healing Is Resistance. “It’s all about being responsive to what is going on in the world right now, and using that to connect with people who stand for what we stand for,” Washington-Sy said. They centered this responsive fundraising and outreach campaign around the International Transgender Day of Visibility in late March, focusing much of the outreach around email and social media. They raised more than their $10,000 matching gift as part of the RaiseMN Campaign Institute, with a sizable portion coming after having the campaign shared through GiveMN’s email and social media channels. In addition to the fundraising campaign success, Washington-Sy says a major benefit of being in the RaiseMN Campaign Institute is learning from the other organizations and coaches in her cohort. Moving forward, Washington-Sy says RECLAIM is better prepared to expand their social media outreach and engage their whole community around all of their work. Supported by the tithes of their congregation for more than a century, Pilgrim Baptist Church is recognized as one of the most historic churches in the United States. But with this historic building comes facilities maintenance and upgrades to keep the facility up with the needs of the congregation, and Pilgrim looked toward individual fundraising as a way to meet that demand. Standing at the corner of Central Ave. and Grotto St. in Saint Paul’s historic Rondo Neighborhood, Pilgrim Baptist Church is Minnesota's oldest and largest predominantly Black Baptist church. Though the building is 90 years old and on the National Register of Historic Places, the congregation itself tracks back to the 1860s, as a group of slaves who escaped Missouri via the Mississippi River began worshipping together upon their arrival in Saint Paul. Today, Pilgrim Baptist Church houses a vibrant congregation led by Dr. Charles Gill, a small staff, and a group of volunteer-organized committees. Though Pilgrim has always sustained itself based in part thanks to the generous offerings and tithes of its members, their leadership applied to be a part of the RaiseMN Campaign Institute to learn how to implement other fundraising best practices for their organization. With their RaiseMN coach, Pilgrim planned a special Give to the Max Day offering to help make needed building repairs, announcing it during Sunday services the week before the giving day. Not only was this the first major campaign around Give to the Max Day, it was one of their first-ever fundraising asks beyond weekly offerings and occasional pledges. The Pilgrim community responded to that campaign with nearly $27,000 in gifts during Give to the Max Day, and nearly half of them coming online through GiveMN.org. The success of this campaign not only helped with needed repairs, but also boosted the confidence of church leadership around their ability to raise money around an annual fundraising plan. “Everyone responded so well to Give to the Max that we moved forward to create a yearly fundraising plan,” said Stephanie Dilworth, a long-time volunteer leader in the congregation. As Pilgrim created their annual fundraising plan, they recognized the best way forward was by creating buy-in amongst different leadership groups early on the plan by discussing shared priorities. Much of their time during the RaiseMN Campaign Institute was spent laying groundwork with feedback from their trustees, finance committee and individual ministries. After agreeing on shared priorities and plans, Pilgrim projected individual fundraising as a revenue source during their budgeting process for the first time in their history. Dilworth says that although projecting that revenue for the first time can feel a bit risky, church leadership is united and committed to taking fundraising to the next level. For 2019, they have created a $155,000 fundraising plan coinciding with their 155th anniversary, securing their first pledges from trustees as they presented the plan for approval. Learn more about Pilgrim Baptist Church. The social enterprise model provides many nonprofits with the revenue needed to continue their drive to meet their mission. When executed well, social enterprises generate revenue and can be useful tools to help enhance their program offerings. But how can nonprofits who provide fee-for-service project-based work help donors see the value of their organization beyond the cost of their products, which leads to a base of individual donor support? When you walk through the doors of Elpis Enterprises’ workshop in Saint Paul, you’ll experience a flurry of activity – the sound of machines printing logos on t-shirts, the smell of handcrafted woodwork, and the chatter of the youth who are at the center of it all. Named after the Greek word for hope, Elpis Enterprises sprung forth from a program of the Minneapolis Jaycees Charitable Foundation which focused on youth development. When this original group was offered the chance to sponsor a booth at a community festival, the participants decided to create and sell a few dozen bird feeder kits. From that original outing several years ago, Elpis Enterprises was born and has now sold more than 10,000 of these kits, along with customized screen-printed t-shirts, all with the mission of providing job training, placement, and work experience for homeless or precariously-housed young people from ages 16-23. Their social enterprise serves both to provide these job skills and community connections for youth, while also raising money to help cover the costs to keep expanding their program and trainings. Although the high-mission social enterprise revenue deeply reflects Elpis Enterprises’ origin and future, Executive Director Paul Ramsour and his team identified individual giving as an important key to diversifying their financial standing. To this point, Elpis Enterprises’ main audience has been companies and individuals interested in purchasing their products. The challenge was twofold – helping their current customers see the value of Elpis’s work beyond the products they purchase, and expanding their circle of support beyond their list of current clients. With the assistance of their RaiseMN coach, Elpis focused on further engaging these two audiences. First, they added a line to their invoices asking customers to make an additional gift to further support their mission, with hopes to add a round-up feature to their online invoicing process soon. Then, they decided to expand their outreach beyond the companies who purchased shirts, and reach out directly to the people who wear them. Since they started including small informational cards introducing Elpis Enterprises with every t-shirt purchased, their website traffic has dramatically increased, and they have started to take in new orders and donations. Beyond the uptick in business, they are adding people to their communications lists, broadly expanding their base of support. Ramsour believes the most useful aspect of the RaiseMN Campaign Institute has been creating an annual development plan with their coach that directs the organization’s fundraising beyond the year they are involved in the institute. Learn more about Elpis Enterprises. A movement of more than 1,200 African American leaders across all work fields in the Twin Cities, African American Leadership Form (AALF) has one universal goal above all others—to build a just and healthy society that works equally well for everyone. Through using the power of the collective, AALF moves the economic health and sustainability of communities forward with partnerships focused on creating business opportunities, reducing unemployment, and addressing homelessness and affordable housing. When they were selected as part of the inaugural RaiseMN Campaign Institute, AALF brought the goal of making more people aware of their mission and programs. Until that point, many of their fundraising plans were centered around person-to-person fundraising, heavily around their membership model. It was wildly successful in engaging and retaining people in their organization’s network, but wasn’t expanding to new audiences who would undoubtedly be supportive of AALF. Their goal—bringing AALF’s message online to engage new potential members at all skill levels and points in their careers. Alongside their RaiseMN coach, AALF stepped out of their traditional fundraising model to create a video campaign which could be shared with new audiences online. Their campaign – “Who is AALF” – was the centerpiece of their Give to the Max Day campaign. Throughout the process, their coach brought expertise in the digital outreach space to help create a message and find ways to deliver it to people they thought would support AALF if they could simply reach out to them. The campaign was thoughtfully reengineered several times with new strategies, as leadership looked to step out of their fundraising comfort zone while still being true to their values. In the end, not only did AALF meet their goal and expanded their circle beyond their original network, but the RaiseMN Institute process prompted the board and staff to start conversations around moving forward with fundraising strategies to help their organization expand and be more sustainable in the years to come. Learn more about African American Leadership Forum. In most cases, nonprofits know their own organizational needs and opportunities for growth around fundraising, but often need expertise and coaching to demystify what it takes to go from vision to reality. The most sustainable fundraising process involves board and staff developing strategies together, and holding each other accountable throughout the process. The vast majority of nonprofits—especially small- to medium-sized organizations—experience “fires that need to be put out” on a regular basis; these day-to-day needs often distract from long-term fundraising planning. By committing to work with RaiseMN, staff and board enjoy the justification and urgency to commit significant time to creating the infrastructure needed to create and execute a development plan. Of course, any authentic pilot program also comes away with areas for improvement. As we build toward our second cohort of the Institute, we are working to adjust the roles coaches play in the process, and allowing more time for the cohort to be together to learn from each other. We also learned that organizations often need additional resources to help execute their fundraising strategies, and we are grateful to partner with the Patrick and Aimee Butler Family Foundation for the 2018-19 cohort to provide a resource pool for organizations in myriad areas like communications support, creating working databases and extra coaching hours. As we moved through our inaugural year, we have been working to evaluate and make adjustments to the Campaign Institute in real-time as we invite seven organizations to join us for the 2018-19 cohort. We also hope to continue to scale the Institute for more nonprofits to take part, and across more communities throughout Minnesota, while continuing to talk with potential partners about how to make this offering available at a free or reduced cost. The Institute is just the first offering of the broader RaiseMN initiative, though. We are hiring a full-time Fundraising Strategist to serve as an in-house, full-time RaiseMN coach who will also lead our creation of more resources and programs for more nonprofits. GiveMN is excited to be embarking on this new path, responding to the evolving needs of our community. Through our legacy programs like GiveMN.org and Give to the Max Day, alongside an expanding RaiseMN initiative, we look forward to continuing to serve nonprofits and donors by igniting generosity and growing giving for years to come.